Rated number three in the Top 10 most romantic islands in the world by “Island Magazine” USA, Likuliku is not only beautiful but also unique to the Mamanucas. 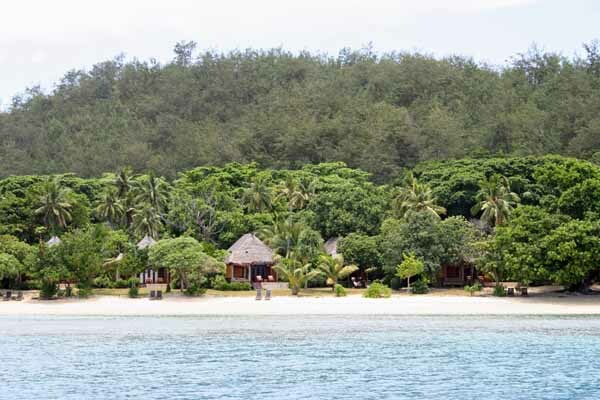 This adult-only island resort is located on its own island, located about 25 km/16 miles from Nadi International Airport. There are several options to reach Liku Liku including a daily catamaran ferry service departing from Denarau Port. Depending on what time your flight arrives in Nadi this is a great option, or if you come in too late you might want to choose a sea plane or private boat charter to avoid having to spend the first night in Denarau. As soon as you step foot on Liku Liku’s pier you will feel as if you have been welcomed home. 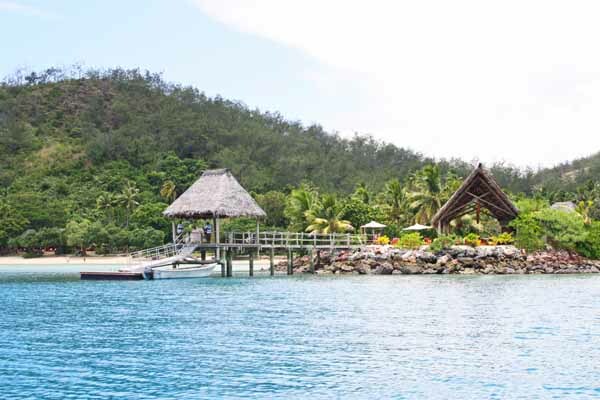 You will be welcomed with a traditional Fijian song, drink, cooling towel and a beautiful shell necklace. Take a deep breath, it’s time to relax and let it sink in. You have just arrived at one of the world’s most beautiful resorts and you are here to stay – at least for a little while. 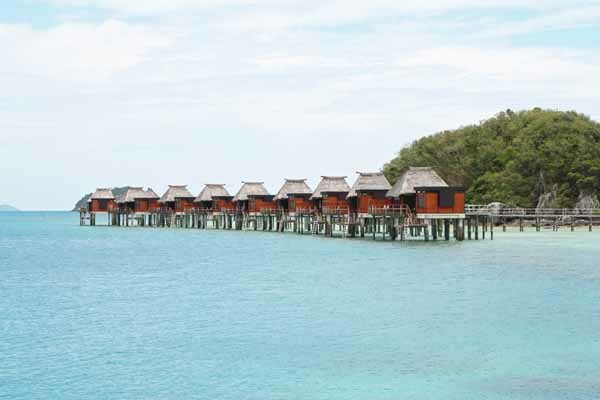 Liku Liku is the currently the only Fijian property with over-water bungalows. 10 private over-the-water bures are linked by a bridge pathway from the beach. Imagine sitting on your private deck directly over water. Your spacious Fijian style bure boasts a glass floor so you can watch the colorful fish swim by while sitting in your living room. Step out onto the deck and there’s a ladder for water entry. If you just want to relax, you can even enjoy the view of the lagoon from the bathtub. 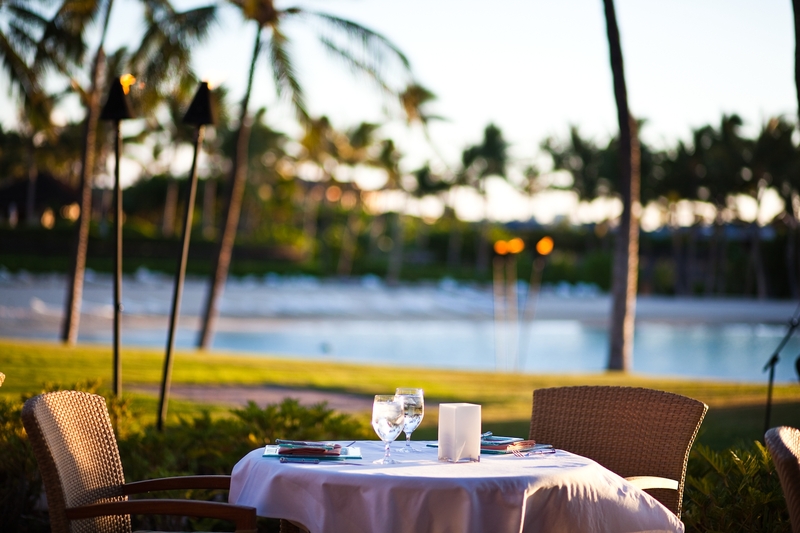 Liku Liku also offers a fantastic selection of deluxe beachfront bures, set right on the pristine sand. These bures come with your own private pool and the ocean is just a few steps away. The Deluxe Bures and Overwater Bungalows are perfect for honeymoon couples wanting to romance and looking for that extra touch of luxury. Feeling run down? Get rejuvenated by a Fijian style massage at the Tatadra spa (meaning House of Dreams–how does that NOT sound appealing?!). The experts will send you into a state of relaxation you didn’t know existed with their Pure Fijian products. While being pampered, you can bask in the warmth and be soothed by the breeze. All overlooking the beautiful lagoon. The best thing about it all, Fijian spa services are very affordable in comparison to any other location in the world. Get ready to indulge yourself with gourmet dishes that range from freshly-caught seafood to mouth watering breakfast pastries and mud-crab omelets with chilli and papaya relish. 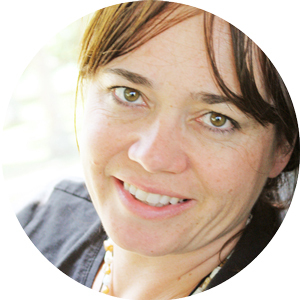 New Zealand born Ihaka Peri is the executive chef at the resort, and you can count on every meal being fresh and creative–all while eating beachside. There’s also a hotel bar. The Masima Island Bar is the go-to spot for sipping back fruity cocktails and it’s the place to be on a Friday night. There’s plenty of aquatic activity to go around on the island. For adrenaline junkies there’s: water-skiing, wakeboarding, jet skiing and kneeboarding (all at additional costs). Or for a more relaxed time on the water, rent a kayak or try windsurfing. 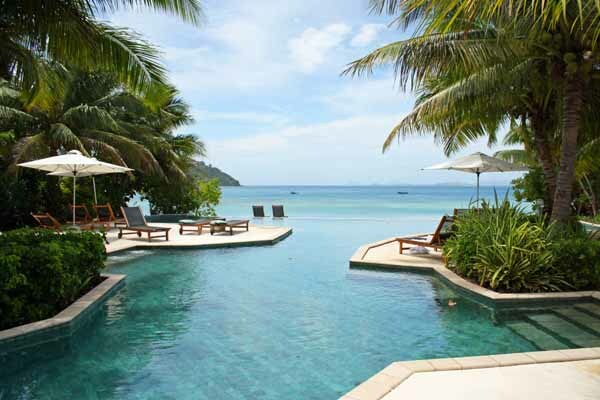 Take a swim in either the hotel pool or lounge in the lagoon. High tide is the best for snorkeling off the beach, near the jetty or off your own over-the-water bures. The area is a protected marine reserve, so you’re guaranteed to see lots of rainbow-colored fish. If you are an avid scuba diver and want to dive on a daily basis, LikuLiku might not be your best choice. However, if you want to dive for a day, scuba diving is handled off the island, but it’s definitely worth looking into to. They have lessons for all levels of experience that range from going deep to Maolo’s barrier reef, or checking out calm inner reefs. You can expect to see lots of colorful, hard coral, turtles, reef sharks, manta rays, moray eels and of course, tropical fish! There’s just as much excitement back on land! Discover the ancient archaeological sites that spread across the island, hike the nature trails or plan a guided bush walk. 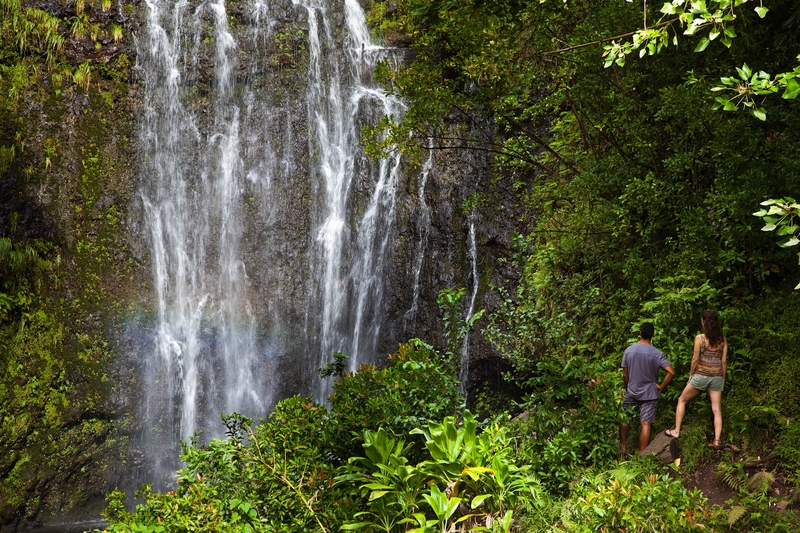 If you want to experience the Fijian culture you can also visit the island’s two villages. Or if you really want to slow things down, taking a nice long walk along the beach is highly recommended–take in the paradise that surrounds you, feel the warmth of the sun, breathe the Fijian air, and dig your toes in the sand. 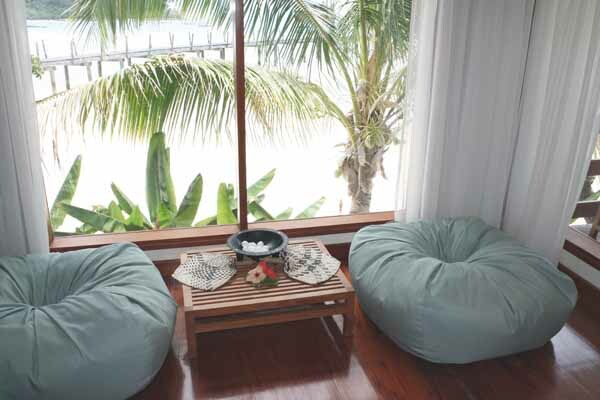 Liku Liku is a wonderful place to relax and unwind. The luxurious, adult-only atmosphere is very romantic and perfect for a peaceful getaway. Allow yourself to be seduced by LikuLiku’s luxurious charms. Great dining, upscale rooms, serene spa experience, and who can forget the all the great activities? Your paradise awaits! When my friend asked me late last year if I wanted to join her on a trip to Barcelona I did not hesitate. Not only had I been fascinated by the city I visited over 20 years ago for just one day, but also had I received more and more client requests for this area. 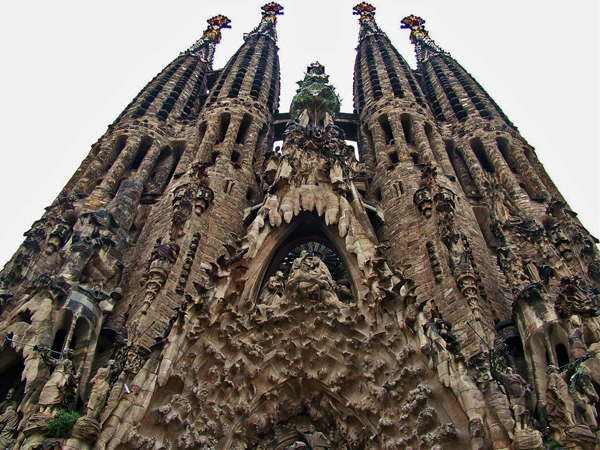 Movies like Vicky Cristina Barcelona and the fact that Barcelona is a major departure port for Mediterranean cruises has increasingly put the city on a map. Trust me, the trip and city did not disappoint! Despite it being early spring (mid-March) the temperatures were fairly comfortable and the weather quite good. Although it is considered off-season, the city was packed with tourists from Europe, particularly lots of student groups. Barcelona has come a long way in its recent years. It is a very creative and passionate place. Despite its multicultural appearance few English is spoken and we found ourselves in quite a few funny situations. One of the main challenges are the streets and numbers. Once you find your path thru the maze of streets and squares, success is not guaranteed, as house number do not follow any particular rule. Sometimes number 3 is next to number 550, and some buildings have no numbers at all. We quickly learnt that the key to success was knowing your cross streets. There are lots of things to see and do in Barcelona. The main attractions, e.g. 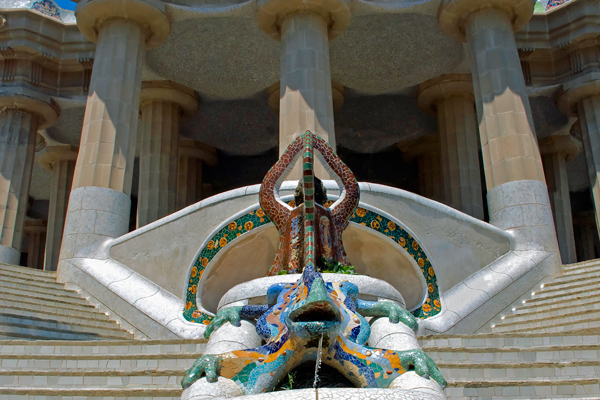 Sagrada Familia, Balto House, Picasso museum, Guell Park can be visited in 1 to 2 days. Apart from these wonderful sites, Barcelona is famous for its phenomenal nightlife. Taking advantage of our jet lag (EST – 6 hours behind) it was easy for us to go to dinner at 9pm and then check out the different bars and locales. Some of the coolest things we did was eating Calçots at Can Xurrades and then strolling the Gracia neighborhood, famous for it bars and restaurants where you can find locals and expatriates mingle until the early morning. We also went to the Aire de Barcelona, an old restored Roman hammam (bathhouse) for a 10pm to midnight session. It was fairly strange to receive a 10pm massage and then soak in different baths until midnight. What was even weirder, is that some people came in at midnight and stayed until 2am. Another event not to miss is an evening of Flamenco, we were enchanted by the performers at Palau de Musica. In addition to Barcelona itself there are a few easy day trips that you can do. My top would be Sitges. It is a small picturesque town along the coast which can be reached in about 30 minutes by train from Barcelona. 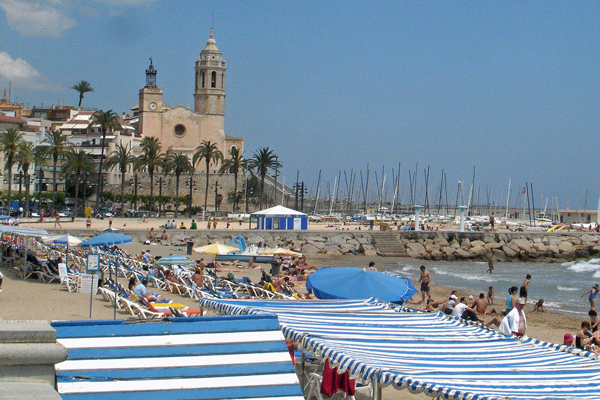 Sitges is a very cute town with excellent shops and a very nice beachfront where you will find plenty of restaurants to sit outside and soak up the sun. Some of the best Paella is served at Cal Pinxo. Getting from the airport to town is easy and takes about 30 minutes. The cab is probably the most convenient way and at EUR 30 reasonably priced. Know where you go though as language can be an issue. Cab fares are generally low and offer a great way to get around town particularly for shorter distances. The subway is EUR 2 per person/way and if you are only going 2 stops a cab for 2 is usually equal to that (EUR 4). Study your map before you go and know where you want to go. It will come in handy. Barcelona is generally safe, even at night. We walked around a lot, even late at night and had no issues. The only place I felt unsafe was walking the beach front between Hotel Arts and the W at night. Everybody will warn you about pick pocketing. Keep your purses close and make sure they are zipped close. Try to get off the beaten tourist path. It is so worth it. Not only are you going to have much more fun (the Spanish are super friendly and fun) but you are also going to pay way less. Spaniards are passionate. There is a lot of public display of affection. Make friends with some English speaking locals and have them give you tips. Alberto Jimenez at the Mandarin Oriental and Jordi Baldó from the Soho Hotel both proved to be great resources. Know your cross streets and do not rely on the cab driver to know your hotel and its location. Try Cava. This Spanish sparkling wine is delicious, inexpensive and there are lots and lots of different brands to try. My second visit to Arenal within a year. 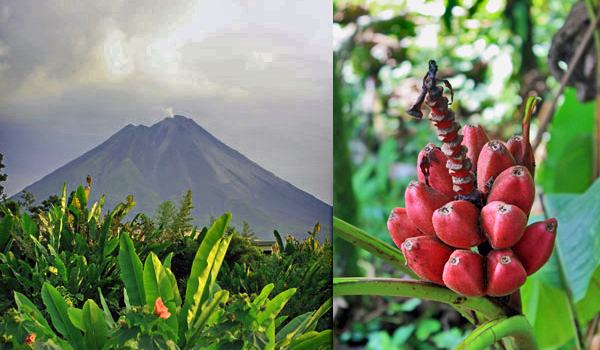 Arenal is a great area for all types of adventure activities but also offers a lot in terms of nature and wildlife. The Arenal Volcano is spectacular and source of the hot springs which can be found on many hotel properties. 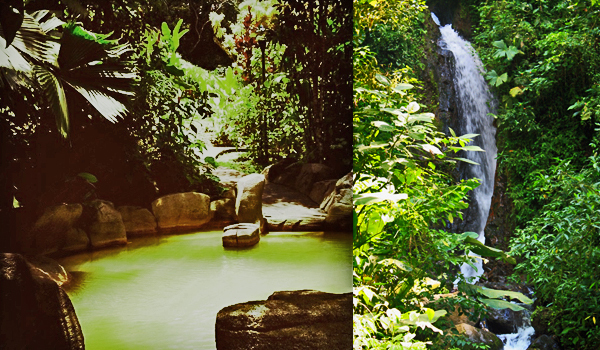 Some of the best hot springs belong to the Tabacon Resort. Access can be purchased in form of a day pass if you are not staying at the hotel. I would recommend visiting in the evening when the crowds are gone. It is wonderful to dip in the natural hot springs, enjoy a drink, and relax below the volcano. Arenal’s main town, La Fortuna, is charming and offers a little bit of everything. Shopping, restaurants, coffee shops, ice cream… It is a great place to mingle with locals and soak in some Costa Rican culture. During my stays I had the opportunity to experience several activities. 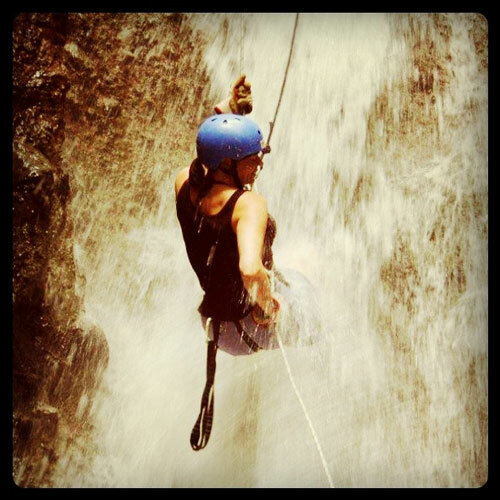 My personal highlight was the waterfall rappelling which was really exciting. The first rappel was down a straight wall of 168ft. Looking over the ledge was very taunting. As you go along you will rappel down more walls, sometimes in a waterfall, sometimes next to it. It was real fun and I can definitely recommend it. The hardest part probably was getting out of the canyon. It is a steep walk up the side cliffs in the middle of the rainforest. The guides made sure we were safe and took very good care of everybody. The Hanging Bridges are one of the area’s major attractions. 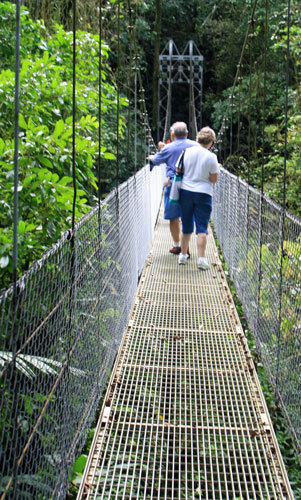 A scenic walk in the middle of the rainforest, crossing different hanging bridges. We were accompanied by a guide who pointed out plants and wildlife. This area is great for snakes, birds, spiders, frogs, and also monkeys. I would classify the walk as moderate, however, there is a fairly steep finale. 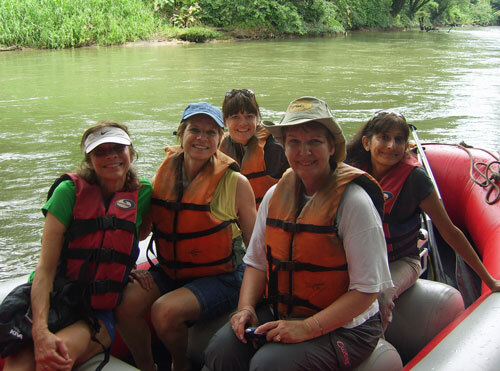 Penas Blancas River Float is a very relaxing activity with 6 people sharing a small boat. It’s a great activity to do with smaller children. You are likely to see birds, lezards, monkeys, and other wildlife, whilst floating down the river. 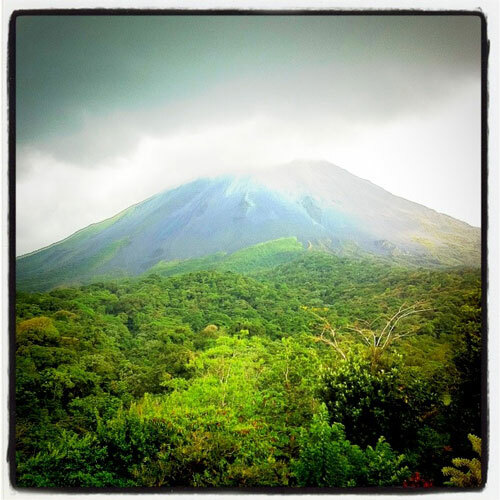 From a vacation concierge standpoint I would recommend Arenal to anyone who wants to do plenty of adventure activities, see an impressive live volcano, and relax in hot springs. There are plenty of different resorts in this area and I would recommend trusting a specialist to help you choose the right one. I had very high expectations for Costa Rica. Oftentimes when you travel, high expectations are not necessarily rewarded. In this particular case however, Costa Rica exceeded anything and everything I imagined. As a lover of lush, green nature I was more than compensated. The country is small and versatile and within a week you can experience several different regions and micro climates. It is an instantly gratifying place as there is always something to see or do. What probably surprised me most was the friendly and ease-going people. 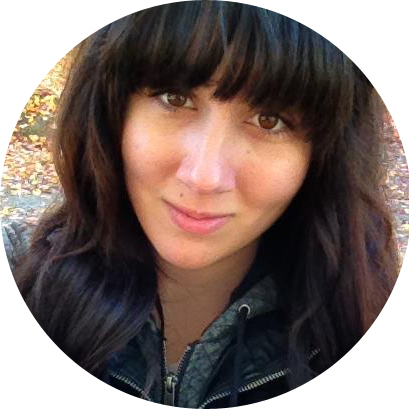 Having traveled to quite a few so called 3rd world countries, I not once felt harassed or unsafe. The country is surprising on many levels. Earlier this year, Costa Rica welcomed its first female president, Laura Chinchilla. They have not had an army since 1949. Independence from Spain in 1821 wasn’t won during a bloody fight. As a matter of fact the King of Spain simply sent a letter granting them their freedom. 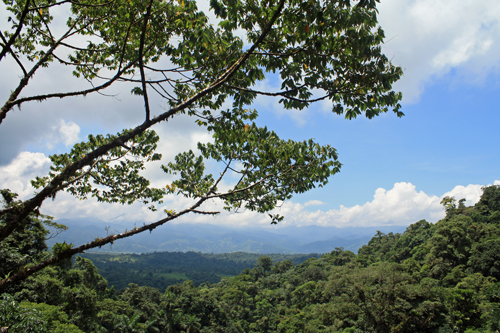 Costa Ricans understand that they are only as rich as their nature and are very much into protecting the environment. Everywhere you go, recycling is top of mind. The country’s people are very aware of the nature surrounding them and make a sincere effort to protect it. Costa Rica has very strict rules on cutting a tree and animals are highly protected. They are re-educating their children, teaching them to respect nature and wildlife. During my 8 day visit I had the opportunity to experience different areas of the country, and I will be writing separate blog posts covering Tortuguero National Park, Arenal as well as Guanacaste. From a vacation concierge standpoint I would recommend this country to anyone who loves nature, likes to explore and be active, and feels comfortable meeting a different culture. It is an excellent destination for couples, families and adventure travelers. Different areas offer different things to do and there is a perfect itinerary for everyone. However, I do recommend contacting a specialist to make your travel plans since it is easy to underestimate travel logistics and infrastructure.